Frontier Developments has revealed that the forthcoming Elite Dangerous April Update will arrive in just under two weeks’ time on the 23rd April. Alongside a number of general quality of life improvements, the primary focus of the update, according to the developer, is to make the experience a more welcoming one for beginners. For starters, Frontier has created something it calls the Beginner’s Zone. A collection of systems only accessible to pilots who have yet to earn their first combat, trade, or exploration rank, the Beginner’s Zone features a number of simple missions to help players get started. It’s a far more relaxed atmosphere, in other words. The April Update also introduces two new modules: The Advanced Docking Computer and Supercruise Assist. An upgraded version of the original Docking Computer, its advanced counterpart is designed to “allow Commanders to relax, let go of their flight sticks and automatically dock in stations to the serene strings of Johann Strauss II”. While undocking will likewise be performed automatically using the new module. Supercruise Assist is similarly useful when it comes to plotting a course and entering into a stable orbit around celestial bodies “allowing you to launch discovery probes and take screenshots without the fear of face-planting the dusty, rocky ground”. Both modules come as standard in all newly-purchased ships. Naturally, there’s plenty more included in the April Update than the handful of features mentioned above. Various improvements have been made to the Trading Screen, for one thing, in an effort to make it easier for players to understand the Commodities Market at a glance. While Frontier has also updated the Navigation Panel and the Pilot’s Handbook. Finally, the game’s previously announced Community Events now have a name: Interstellar Initiatives. “These are [a] series of in-game events that play out over the course of around a month”. Reads the official blurb. 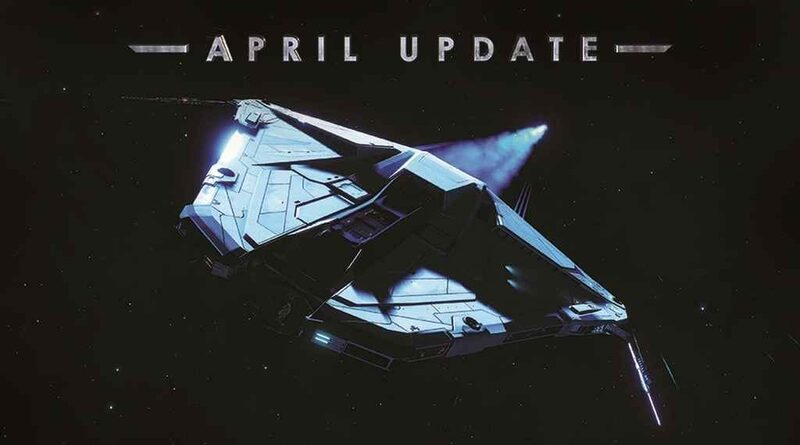 Additional information on everything contained within the Elite Dangerous April Update (including bug fixes and sundry other changes) can be found on the Frontier forums.